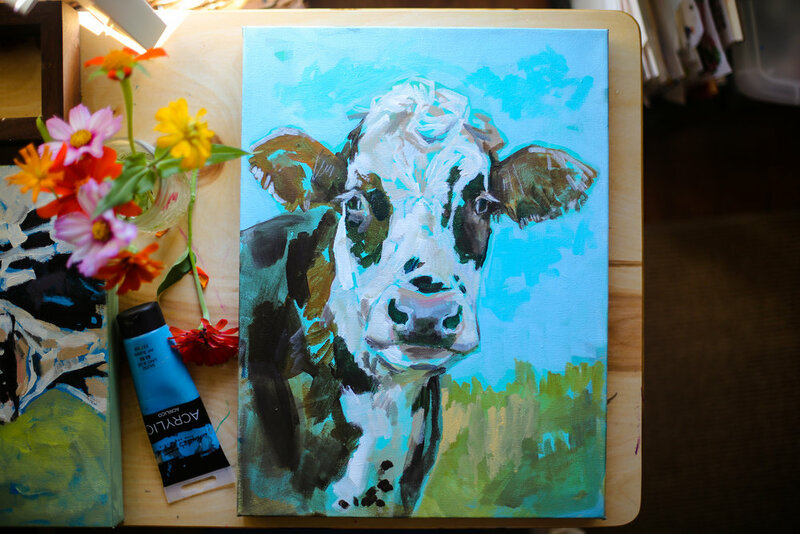 Johnnie is a recent painting in my newest series of cow portraits. She is for sale in a beautiful shop in downtown Denison, Texas near Dallas. Please contact me for more information on Cow Portraits or commission work and I would be happy to help you!